When was the last time your little one willingly ate a vegetable? Yeah, that’s what I thought. I get it. It’s a struggle, and it often seems as if no amount of begging, cajoling, bribing, pleading, or threatening makes an iota of difference. I have fought many battles with my little one over the consumption of nutritious foods, and in that time, I’ve developed a few secret weapons. One of these weapons is to disguise or hide vegetables, which may seem sneaky, but a mom’s got to do what a mom’s got to do, am I right? This broccoli bites recipe is a great example of disguising vegetables. For more on my secret weapons read How to Get Kids to Eat Vegetables and Fruits. 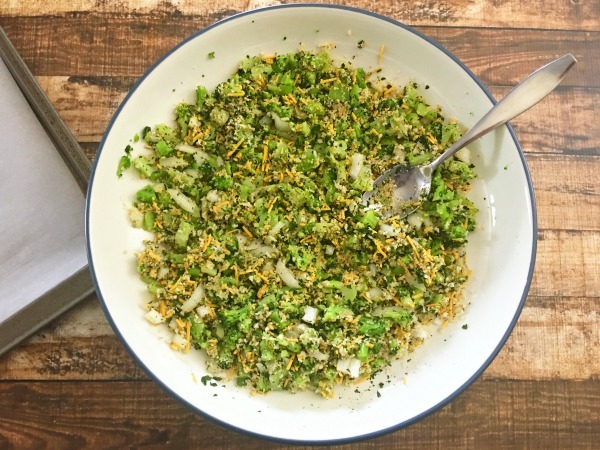 I’ll admit up front that this broccoli bites recipe is not as healthy as plain old broccoli, but when you’re dealing with a master picky eater, you sometimes have to settle for baby steps when it comes to getting him or her to eat something healthy. What I like about this broccoli bites recipe is that the whole family will appreciate it. Sometimes recipes designed to get kids to eat veggies aren’t so yummy for mom and dad. That’s not the case here! This broccoli bites recipe is tasty for all! This broccoli bites recipe is also easy. It’s basically just throwing a bunch of ingredients together in a bowl and then shaping them into balls. Go ahead, take a look at this broccoli bites recipe… see, you don’t have to be Julia Child. In addition to being easy, this broccoli bites recipe is pretty quick. You can prep it in about 15-20 minutes, let the oven do its thing for roughly 25 minutes, and then dish it up. I’d say it’s a pretty good busy weeknight side dish. 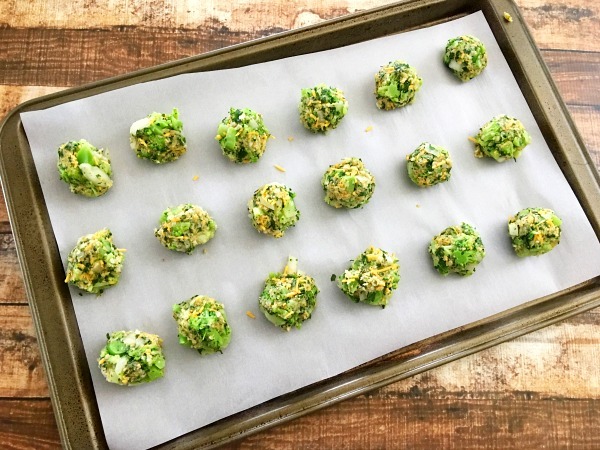 If you’re feeling brave, you could even let your little one help out with the making of this broccoli bites recipe. He or she could easily help shape the mixture into balls for baking… although that’d probably up your prep time a bit. 1. Preheat oven to 400° and line a baking sheet with parchment paper. 2. Boil frozen broccoli for about 1 minute. 3. Remove broccoli from water and finely chop. 4. 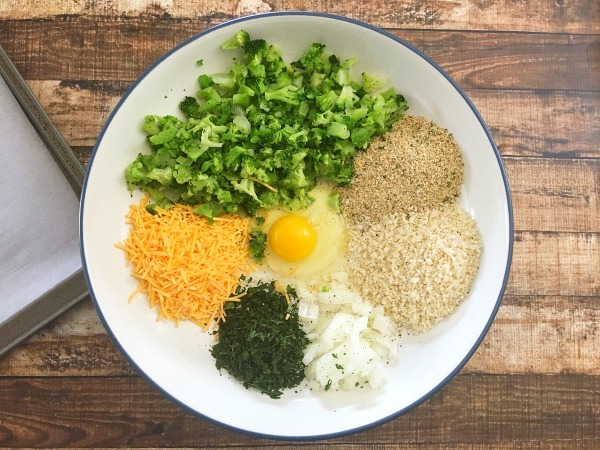 In a large mixing bowl, combine broccoli, egg, onion, breadcrumbs, cheese, parsley, salt, and pepper. 5. 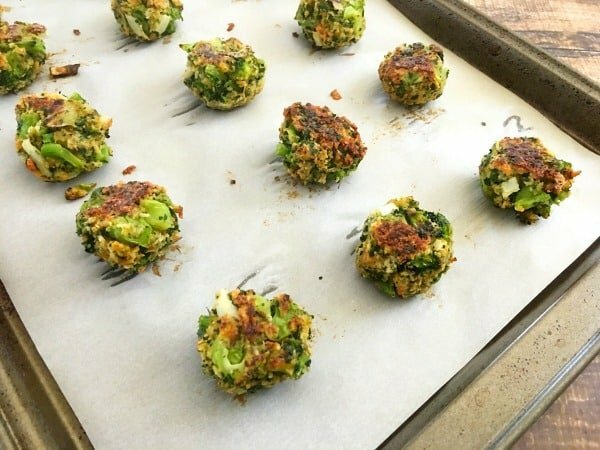 Using your hands, shape broccoli mixture into small balls and place on baking sheet. Tip: If you feel like it’s not sticking together, use your fingertips. 7. 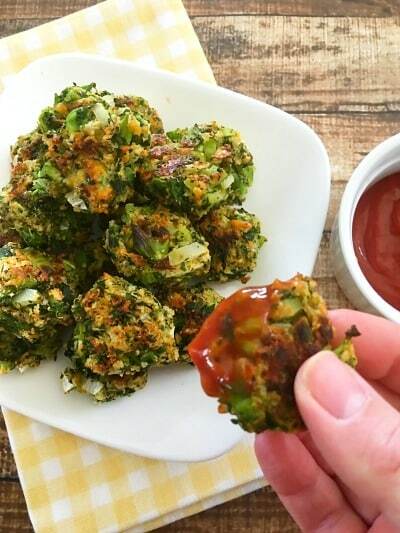 Serve this broccoli bites recipe with a side of ketchup and enjoy! 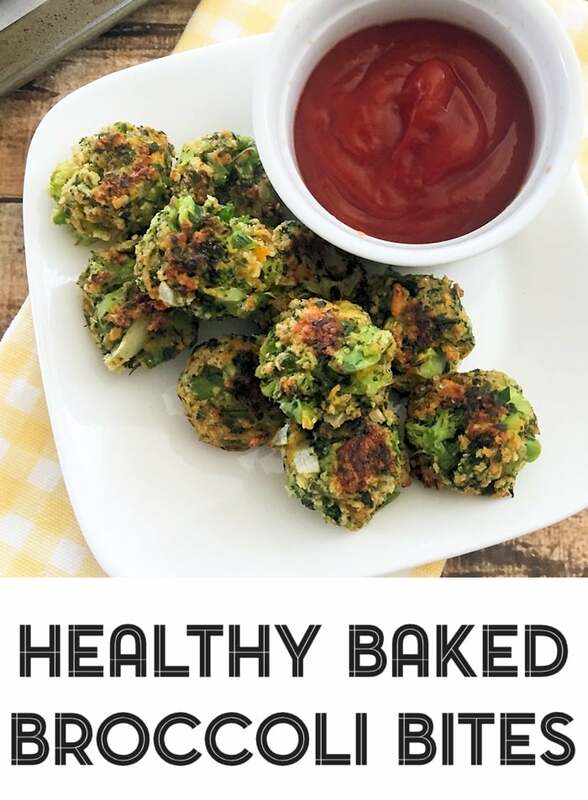 Be sure to let me know how this broccoli bites recipe works out for you and your family in the comments!